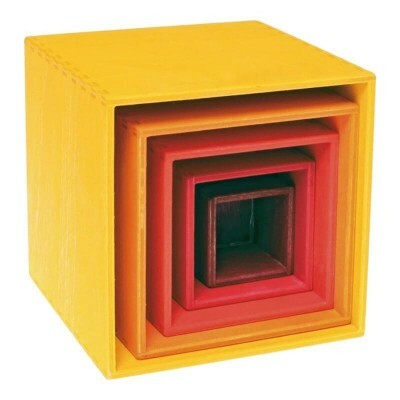 A versatile set of boxes with endless possibilities! 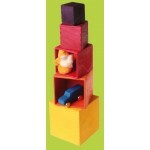 Children love the vibrant colours, and parents love the sturdy construction and all-natural materials. The edges of these birch-plywood boxes have been sanded to avoid sharp corners. 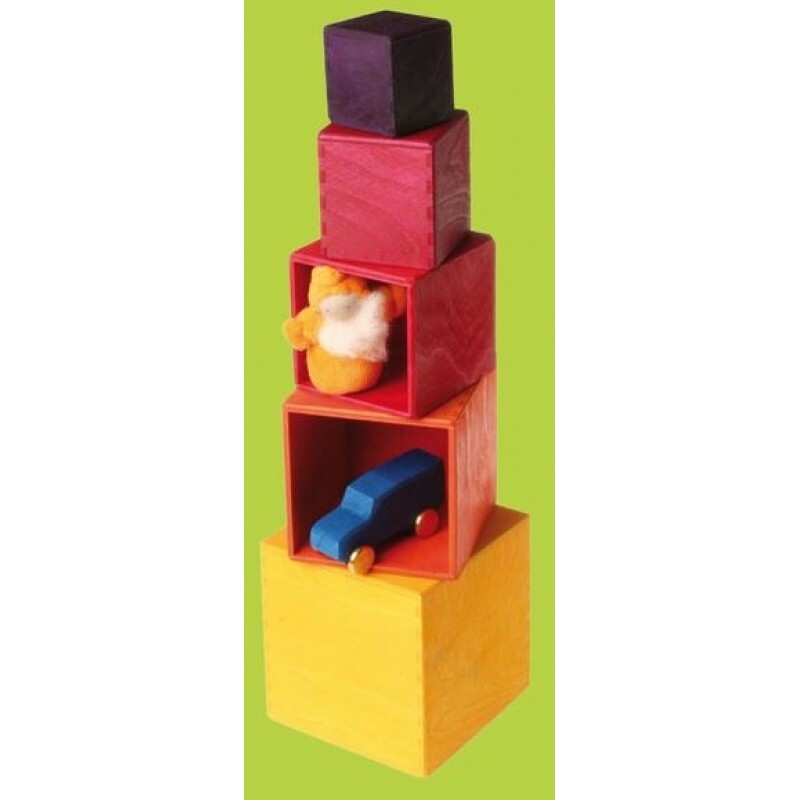 Due to the 100% natural, water-based stains and unvarnished finish of these wooden blocks, there may be some variation in colour for these blocks.